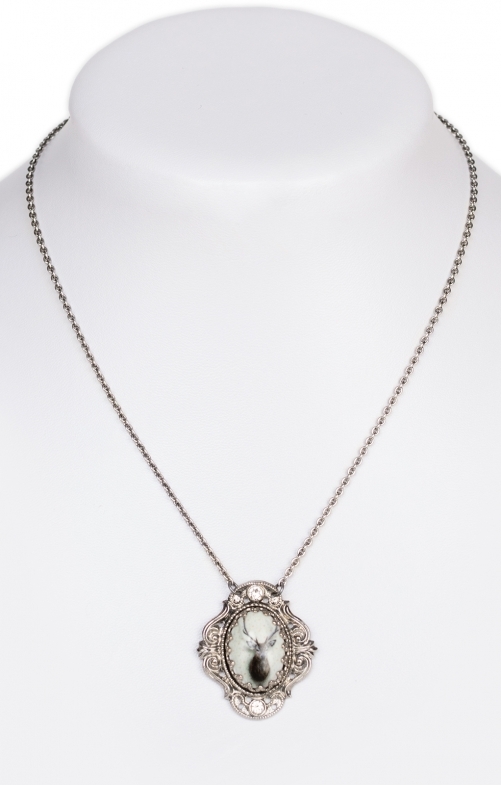 Medallion chain filigree bordered with crystal rhinestones. The necklace from the House of Schuhmacher has a fixed length of 45 centimetres and looks very sophisticated and elegant thanks to the fine link chain. The deer motive is trendy and does not only inspire hunters.